Helping you know what to expect, what to do, and how to adapt to the changing stages your baby will experience in the first weeks and months of life. Baby Coming Home offers moms the services of experienced newborn care specialists, bringing to you a distinguishing uniqueness in the care and training of newborns and their families. A highly recommended newborn care specialty group serving the Dallas/Ft. Worth Metroplex. Our specialty - extensive experience assisting families with twins, triplets, and singles. Helping parents reach their goals for every developmental stage from birth to six months. 24/hr care, night care, and visits those first weeks to help troubleshoot any difficult areas you encounter - all designed to meet your needs. With our distinctive philosophy of baby care, our love for babies and their families, coupled with our many years of experience and success, we offer the highest standard of help and care for your little ones, and provide you with a peace of mind that will enhance your growing parenting skills. Though well trained in the latest advances in baby care methods, we have combined that knowledge and training with the wisdom of the back-to-basics approaches used successfully for generations here in the U.S., and the tried and true remedies and techniques used for centuries in Europe and Latin America. Blending old-fashioned, time-proven methods with modern 21st century baby care. Providing you with the best possible training and care for your newborn and your family. 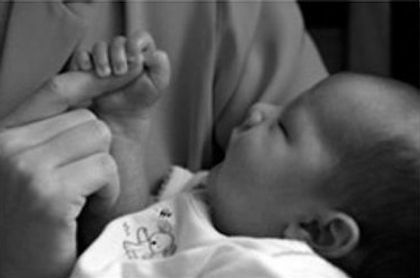 Offering uniquely trained & experienced Newborn Care Specialists. Personalizing our care to suit what you want and need. "Debby Bostrom has been such a lifesaver on so many levels. She placed my baby nurse who was the perfect fit for our family after a comprehensive meeting with me. She also provided me with a list of things to buy to set up the nursery and some reading to help me get ready for the twins."